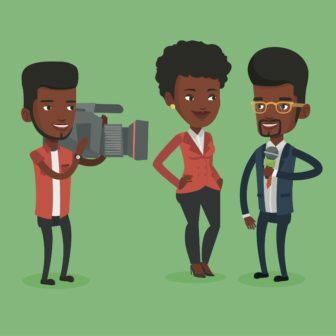 Who are the rising black talents in public media? Stanley Nelson. Michel Martin. Tavis Smiley. Audie Cornish. If you’re in public media, these are filmmakers, journalists and personalities whose names you know. We need your help to identify up-and-coming talents whose names we don’t know yet and should. During February, Current has been looking back, sharing stories from our archives that feature public media contributors and work focused on black culture. We want this Twitter-powered retrospective take on Black History Month to reflect on their achievements while helping us identify rising black talents poised to make a big impact on public media today and in the future. Old, young, and young-ish, these are folks in public radio, TV and digital media who are telling unique stories or launching innovations in storytelling. These rising black talents are producers and hosts in stations large and small, urban and rural. Or they’re freelancers working on their own. Regardless, they’re working hard, and that hard work, in an industry that struggles with racial diversity, deserves recognition. We’ll take your suggestions to produce a piece that highlights the individuals and their work. Just fill out this form by midnight Feb. 28. Questions? Comment below or email april@current.org. Thank you for your thought-provoking article! I’d love to offer some names of rising African American talent in public media — content producers, administrators, and executives too! I’m traveling out of town and won’t have access to internet or phone next week. Would you be willing to accept entries after the Feb 28 deadline? Also, many public media stations are just about to start their most important pledge drives of the fiscal year (March TV and April Radio). Perhaps it might be worthwhile to consider extending the deadline for your great idea beyond Black History month? PBS is hosting Diversity and Inclusion meetings and recently held one here in Atlanta. You may want to reach out to the organizers of that effort to help get the word out about what you’re doing here with Current. I’d love to talk with you more about all of this. Would you be open to a brief chat on the phone soon?